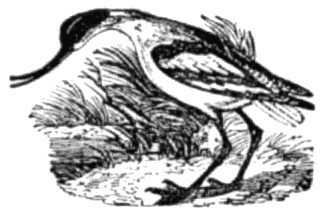 This shore bird image was used on the title page of the book we found it in and the author never identified what it is. If anyone knows the name of this bird image, please let us know and we’ll update our information. Meanwhile, he is an interesting bird that might add a bit of something new to your next creative project involving birds. This image, like all the others in the Shore Birds category, is copyright free and ready for downloading. It seems such a shame that this illustration was not given credit for their work. The author was not identified either for this 1855 book entitled Child’s Book of Water Birds.